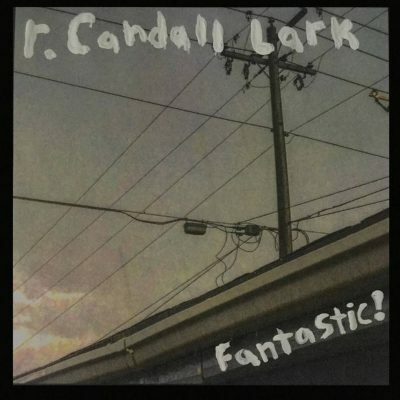 r. Candall Lark’s Fantastic was—according to their Bandcamp—recorded partly in their bedroom, mostly in the back of their work “in the middle of the night.” That would explain the sense of isolation, the opaque darkness that looms beyond the bare and plain-faced musings of Marcus Koncar, the 21-year old Salt Lake City musician and the figure behind r. Candall Lark. On their Bandcamp page, Koncar says of the 15-track album, “The name of the album is a reference to something very dear to me that me and my brother shared. This whole album is dedicated to the passing of time. The lyrics are about death, childhood, gender, dreams, history, friends, memory and getting on.” It feels like a secret. It reminds me acutely of a split I uncovered several years ago, by Whatever, Dad and Jake Lazovick called 100% Take Home!/Good Morning. Whatever, Dad’s part is lonely, playful, lonely again, while Lazovick’s is brooding yet warm, and both remind me of Fantastic because they seem like something r. Candall Lark could grow to be. Their low voice, compelling guitar and banjo work remind me of Lazovick’s own baleful voice and meandering song construction.